The stork was invited to sit down at the table. She was very hungry and the food smelled delicious! The fox served soup in shallow bowls and he licked up all his soup very quickly. However, the stork could not have any of it as the bowl was too shallow for her long beak. The poor stork just smiled politely and stayed hungry. The stork replied, “It was very kind of you to invite me to dinner. 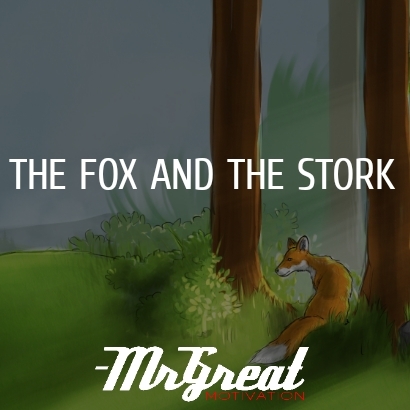 The next day, when the fox arrived at the stork’s home, he saw that they were also having soup for dinner. This time the soup was served in tall jugs. The stork drank the soup easily but the fox could not reach inside the tall jug. This time it was his turn to go hungry. A selfish act can backfire on you.